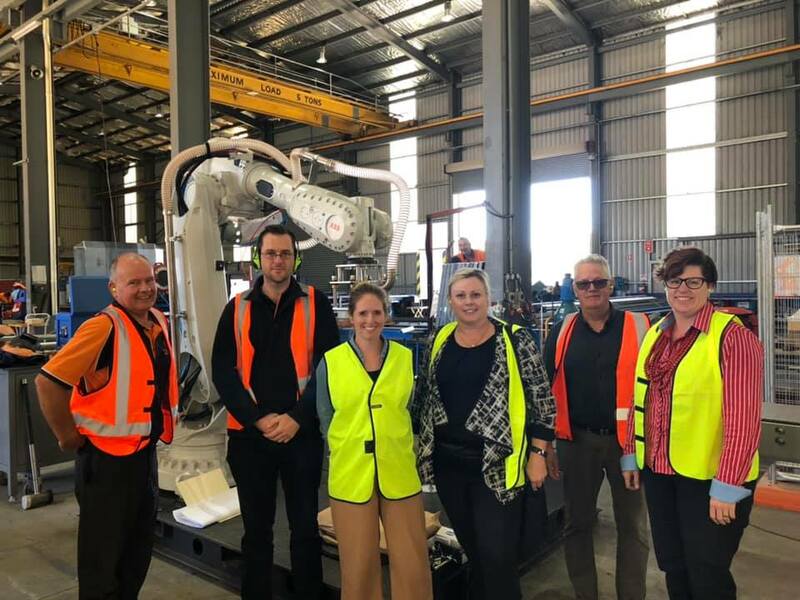 C4EM are pleased to be working in partnership with Loddon Campaspe Regional Partnership to address the short and long term workforce needs of the local manufacturing sector through the Regional Engineering and Advanced Manufacturing Skills Road Map (REAM). The ‘Road Map’ will identify short and long-term initiatives to support the future workforce needs in the manufacturing / engineering related sector, and help integrate initiatives across Industry, Education Providers, Employment Service Providers, the Bendigo Manufacturing Group, LGAs and Peak Bodies. C4EM facilitated three industry site visits this week at FoodMach, Rivafab and Manchester Tanks. The meetings were very valuable in gaining a practical understanding of the issues, and the diversity of manufacturing taking place locally. The consultation process for this project is now almost complete and the project is due to be finalised with REAM Road Map presented to State and Federal stakeholders, industry and education providers in early May 2019.